Just how big a deal is a Nurburgring lap record? And is it any bigger a deal these days than it used to be? The way manufacturers are seizing any opportunity to claim one, you’d think the car’s entire success depended on it. 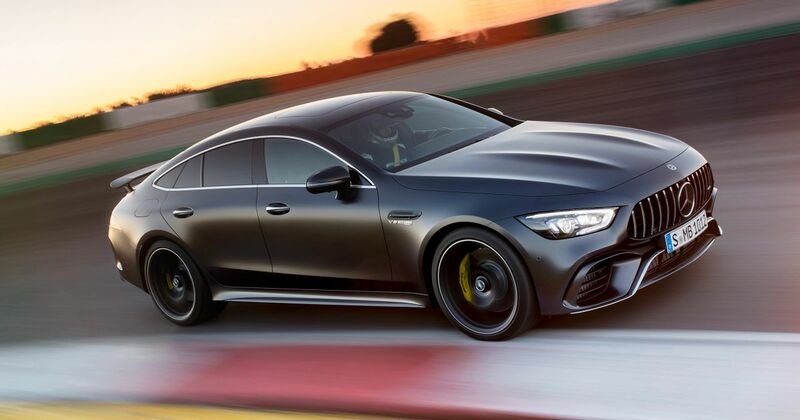 The most recent example came from Mercedes, whose brutish and no doubt bonkers AMG GT 4-Door just looped the Nordschleife in 7m25s. Quick, in other words, and the firm is claiming a record for the fastest four-seater. On the other hand you have Jaguar, whose Project 8 madmobile did the same lap four seconds faster but had ripped its rear seats out to save weight. According to the claimed records, that one is the fastest saloon. These are two records but two not terribly dissimilar cars that should really be competing, not being separated by technicalities. But we’re not done yet. 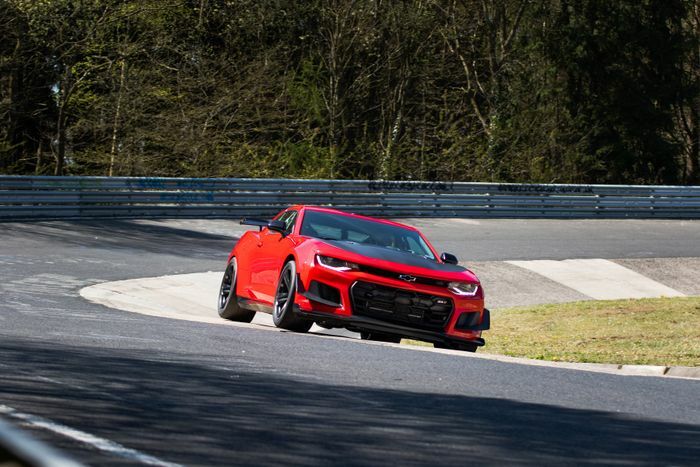 A manual Chevolet Camaro ZL1 with the 1LE package has previously smashed a 7m16s lap of the circuit, beating the big Mercedes by nine seconds. It’s a two-door, sure, but it’s definitely a production four-seater. We’re not sure whether the Germans just forgot about it or place it in a different sub-class. And that is exactly the issue. The Project 8 is quite specific about the convenient class of one it created for itself. It’s in something called ‘production intent specification,’ which, when it’s stripped out and fitted with a roll cage, seems a little disingenuous. The actual saloon record around the North Loop is held by a heavily modified Subaru WRX STI Type RA, which clocked 6m57.5s on slick tyres. That’s at least three records across the saloon class alone, and that’s before we even bothered Googling the records for different drivetrain layouts. The caveats to make these PR-boosting records happen are getting silly. The hot hatch class is another example of things getting out of hand. It got embarrassing with the amount of times it turned out that X manufacturer had secretly taped-up all the panel gaps to make its car more aerodynamic, or had taken a load of production-spec weight out, or had secretly fitted the stickiest road-legal tyres they could onto it while tenuously claiming this or that record. Enough. Only two Nurburgring records really matter, because only two of them should matter. 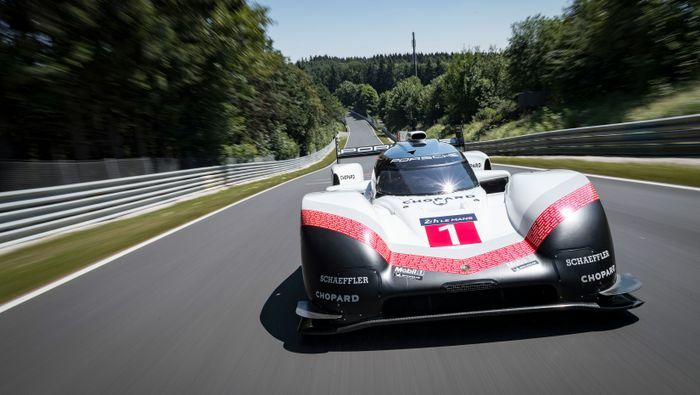 There’s the outright fastest time anyone has ever driven around that track in a vehicle with four wheels, currently Porsche’s 919 Evo, and the fastest time set by a car in 100 per cent basic showroom spec – not including a single thing from the options list. Let’s have none of these optional VelociPerformance MegaSpeed upgrades that are basically like video game cheats that take 30 seconds off the standard lap time. Stopping all the antics around squeezing records out of thin air would, for one thing, stop the dilution of the value in such a thing. It used to be a mighty achievement if your car was the fastest around the Green Hell. Today we’re in a position where we have to check the subtext of exactly how each record was achieved, to see whether – and how – each player is bending the truth. What the automotive world has learned is that when you start dividing records into classes, people deliberately place themselves outside of the rules in order to create a new sub-division and automatically a new record. We surely can’t be the only ones who’ve had enough?